Last years event was a great success with the koi that won "best growth" achieving over 100% growth in the first year (20.5cm on the purchase day upto 43cm a year later). As with last year, Steve and Pam offered the club members some excellent koi that they had held back from public sale especially for us. 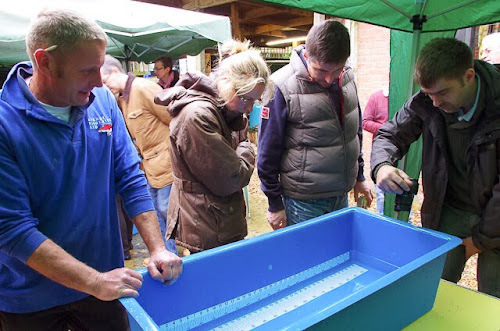 The koi were split into two vats priced at £45 and £85 based on body shape, skin quality and pattern. 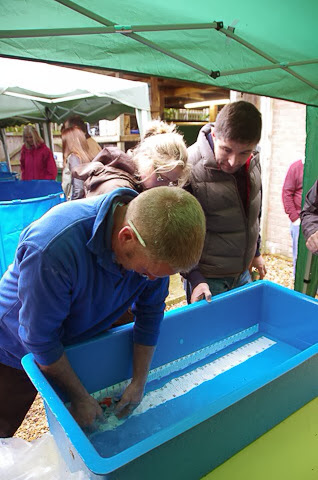 All members selected a number of koi they wanted, then the names were placed and drawn out of the hat. With the start of the draw, the weather turned and the sun came out. 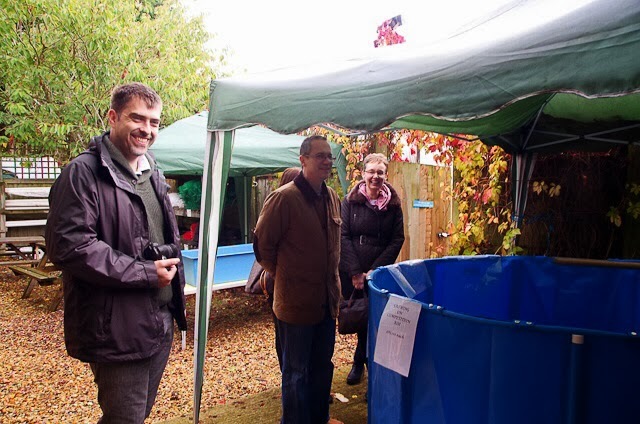 Once names were drawn the member could select one koi from either the £45 or the £85 vat. Given the quality available this made choosing a really difficult task. 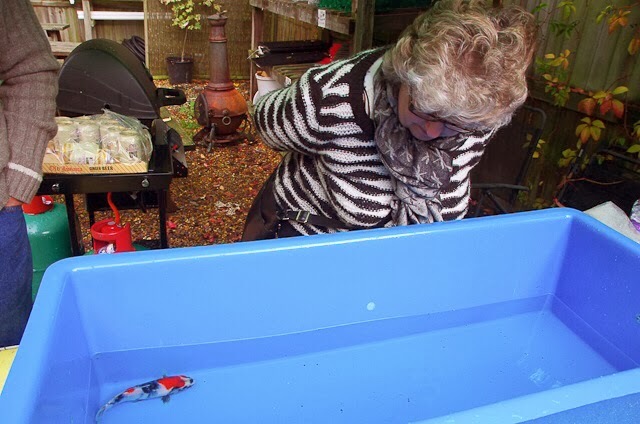 Each koi was photographed, measured and the the owner was recorded. In total, 26 koi were bought on the day (15 at £45, and 11 at £85). 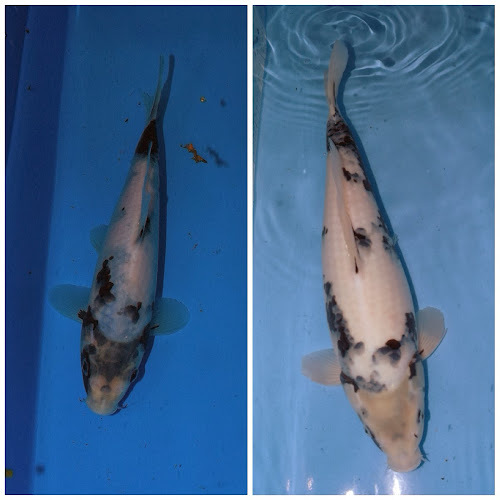 Whilst our ponds are cold and dark over the winter months, it will be very interesting to see what five months of Avenue's food and heat can do for these koi. Many thanks to all the entrants plus Steve and Pam for making this club event another great success. It will be Easter will be here before we know it when we get the results! Tim Morphy photographing the selected koi whilst Steve from Avenue looks on. One of the selected koi in the measuring bowl. 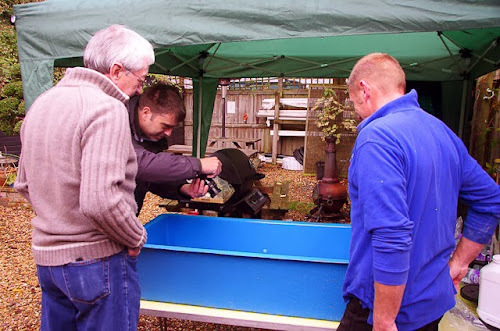 Anique Hobden's (my wife's) koi being measured by Steve. 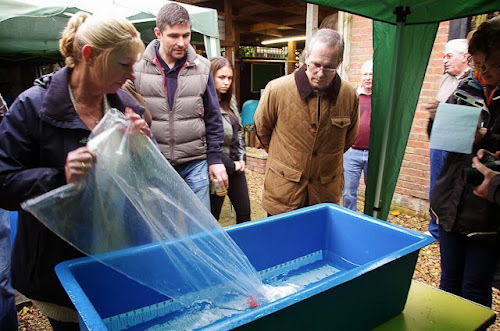 After the koi were measured by Steve, photographed by Tim, the "future" Mrs Morphy recorded all the information on the clipboard and then Pam bagged them up to place in the Avenue Fisheries heated growing on tanks. The photographers job was done for the day. Next big day for Tim will be his wedding day. Well done Tim and good luck! A gallery of the selected koi will be made available in a separate page for us to browse through and choose which one(s) we think will do best.